Good Morning! 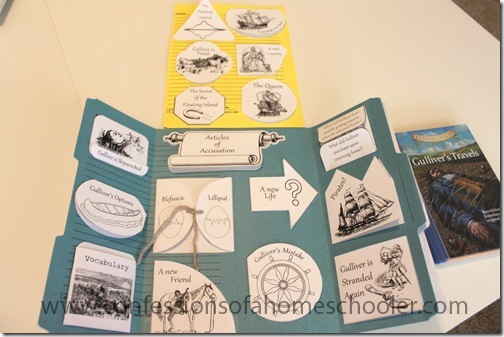 I have another new Classic Literature Unit Study and Lapbook! Today’s unit is Gulliver’s Travels Unit Study . This is a great book for young readers as it includes a lot of adventure and fictional fun! 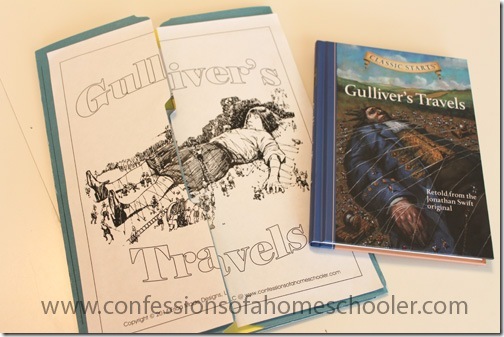 Much like Robinson Crusoe, Gulliver has a need for travel and adventure! When Gulliver first goes off to sea, he has no idea of the strange adventures he’ll find. Travel along with Gulliver as he visits a flying island, a land inhabited by tiny people, and a world ruled by talking horses, and more! 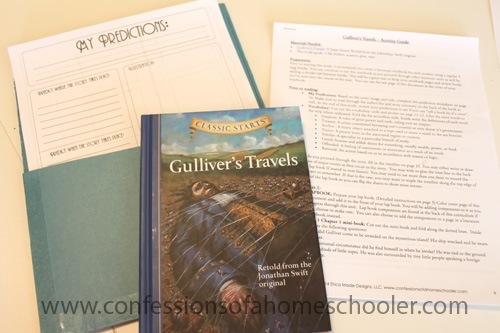 This accompanying unit study is meant to be used with the Classic Starts Gulliver’s Travels version as retold from the Jonathan Swift original. 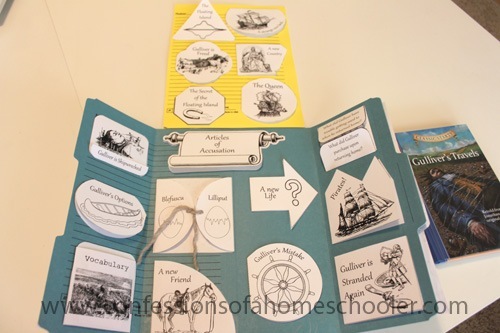 The Classic Start versions are find them a little easier for younger readers, but you could certainly use this unit study with the original version if you have an older student. 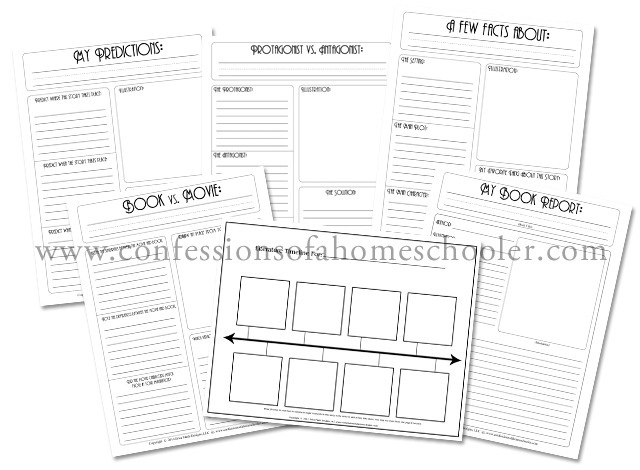 The lapbook chapters will correlate with the Classic Starts edition, but the concepts are the same, so you should be able to complete the units using any version you choose. 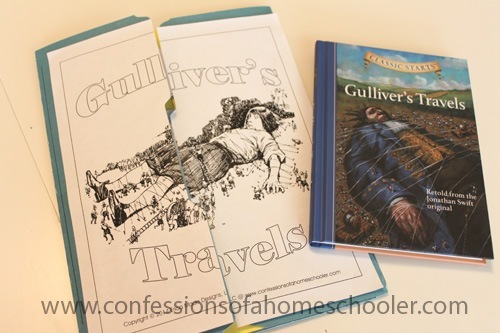 Watch my Gulliver’s Travels Lapbook Video to see more details on this fun literature unit study! 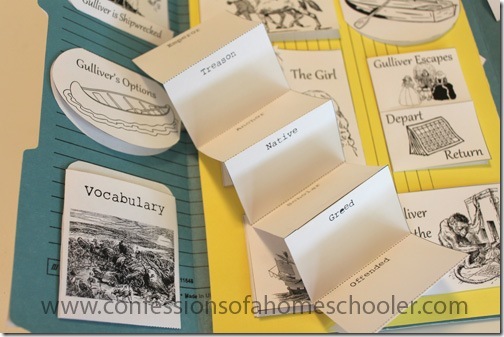 This unit has 22 mini-books plus a vocabulary mini-book full of terms to learn throughout the story. PLUS the Classic Starts version of Gulliver’s Travels for one of you! Enter below! It’s going to be so much fun once my little guy can read. Not that it’s not fun now – it is. But it’s going to open up a whole new world. These units are so wonderful! Thank you for all your hard work! Are you planning on a second bundle of literature? I would buy it for sure! I’m a newbie here. 🙂 We began Expedition Earth this week and love it! I’ve been looking through the literature units and wondered if you recommend a specific publisher/version of the books in the studies? I have many of the books that you have listed here in abridged and unabridged forms. I’m curious if I would be missing anything if I used the ones I already have instead of the same versions you use….? Hi Erica! I love your ideas in this post. I haven’t tried a lap book before, but this looks like a great way to encourage younger readers to process the story. I am in the process of compiling a series on “Studying the Classics” and would love to link my readers to this post if that’s ok?